Hemorrhagic septicemia is a fatal disease of cattle and buffalo all over the world including Pakistan and it causes heavy economic losses every year. The poor farmers cannot bear this loss in the form of less milk production and heavy expenditures on the animal treatment. An enriched alum-precipitated vaccine with reduced dose was prepared and standardized and safety testing of enriched vaccine was performed in Swiss albino mice as well as in natural host. In this experiment, a total of 36 cattle both male and female of different age groups ranging from 4 months to 4 years were used. All these animals belong to all major cattle breeds of Pakistan including Sahiwal, Red Sindhi (crossbred and purebred), Dhani (crossbred and purebred), Lohani (crossbred and purebred), and Cholistani, and exotic breeds including Holstein Friesian and Jersey. These animals were examined for current immune titer prior to vaccination. Animals were vaccinated subcutaneously with 2 mL and 4 mL dose of new vaccine and were observed for any untoward reaction for 48 h. All the animals were kept under close observation for the next 30 days and all were found safe. The experiment was designed to reduce the dose of the vaccine to 2 mL by using BHI as a growth medium, as well as to increase the number of doses prepared in the same infrastructure, hence reducing the cost of vaccine production. 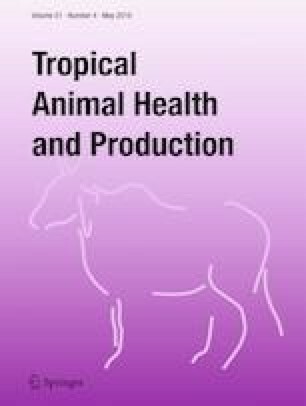 The study proved that vaccine with increased biomass in reduced dose is safe in local as well as in exotic breeds of cattle. MZF and SS conceived and designed the study, HA and AR extracted the data. MZF and SS analyzed the data. MZF and SS wrote the manuscript. SS, HA, and AR revised the paper. The study protocol and the welfare of the animals used for the research was approved by the Animal Care and Use Committee of Veterinary and Research Institute Lahore, Pakistan.